Reflecting Pool and Ancient Ziggurat. Can I target City of Brass using Reflecting Pool? A couple more thoughts in addition to my thoughts above. Cathars' Crusade is a math nightmare but it's way better than Door of Destinies. I don't play this but if you like pumping the team up it is one of the best ways to do it. Fire Covenant is a selective wrath to clear the way for your attacks and you can easily regain the life by activating Najeela. 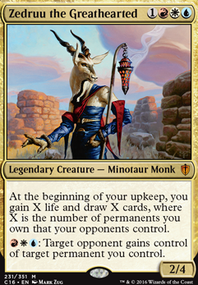 Mirri, Weatherlight Duelist combined with a source of Menace makes your team unblockable. 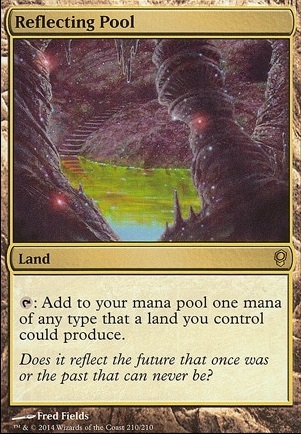 Other lands that will help you and wont break the bank: City of Brass , Mana Confluence , Reflecting Pool . I'd cut anything that comes into play tapped. Play pain lands, check lands, battle lands or anything else. Thanks to everyone that commented for the great feedback. 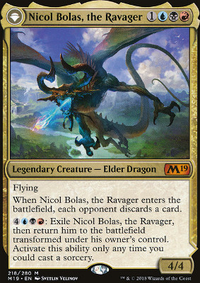 There are a number of cards mentioned that are already on my acquire list that I want for the deck that I just didn't have handy because they are already in my Scion/Ur-Dragon deck or others. 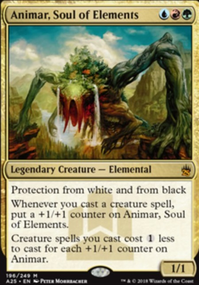 This includes Illusionist's Bracers , Flameshadow Conjuring , Dragonmaster Outcast , Thousand-Year Elixir , Dragon Tyrant , High Market and Tel-Jilad Stylus . I should have included a 'too acquire' list. There are some cards I cut from my first draft simply do to overall mana curve. I always build my decks too high and so I deliberately go back and reassess everything 6 CMC and up. 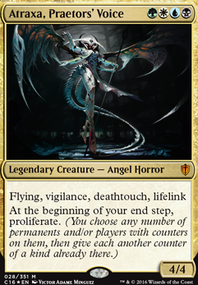 I found this to be the case when I cut Dragon Mage , Utvara Hellkite , and Scourge of Valkas (avoiding 3 colored in the casting cost...I know, I know, it's a mono deck, but I still find away to get locked there somehow). I also did find Scourge of Valkas meeting my 'answers' need when it was tutored, but I can see @TypicalTimmy's combo as fun shenanigans, so I might need to make room for them. As for rocks, I had trimmed both Fellwar Stone and Ruby Medallion because I went more on utility in other areas. The same sort of went for Dragon's Hoard . i'd be interested in suggestion on what to cut for any of these. I did leave both Thought Vessel and Reliquary Tower deliberately out as the deck just never puts you in that position to need them. The honest answer on the City of Brass , Command Tower , Mana Confluence , Path of Ancestry , and Reflecting Pool is I ran out of the unhinged mountains I wanted to use and need to get more :). The command tower was an easy add as it doesn't lose much aside from being affected by anything that targets non-basic lands. The Path of Ancestry was because I wanted the advantage of the scry and then the ping lands were because I need more unhinged mountains. I had Gamble in the deck, but cut it in favor of others. Suggestions on what to pull out for it? Chaos Warp is in the deck. I like the inclusion of the sac outlets and Feldon of the Third Path to get dragons back out of the graveyard. Have you considered cutting a few lands to make room for more dragons? 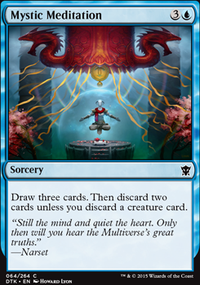 I'm also curious as to why you are running so many nonbasic lands in a mono red deck? I'm especially confused as to the inclusion of City of Brass , Command Tower , Mana Confluence , Path of Ancestry , and Reflecting Pool . You should consider adding High Market as another sac outlet for your dragons.